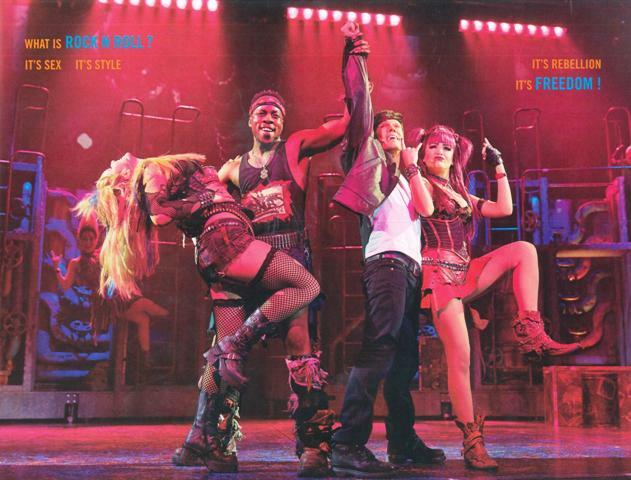 We will rock you is without a doubt one of the (if not the) most successful Jukebox musicals of all time. The show has been running at the Dominion Theatre in London since 2002 and is now touring European arenas to celebrate its 10th anniversary. Based on the music of Queen this show is all about great rock songs and big voices. Ben Elton’s script has some funny moments, however the story is rather random and definitely not the focus main of the show. Personally I’ve always looked at We will rock you as a rock concert with a bit of a story in between. And I’m not saying that in a negative way. I used to watch this show a lot a couple of years ago and I have fond memories of my visits to the Dominion Theatre. This tour production is scaled down slightly which is understandable. It would be impossible to tour the Dominion. There’s no trapdoor in the middle of the stage and no rotating stage lift. The lack of the latter means Killerqueen and Khashoggi do a lot of walking around on stage during “A kind of magic” which I had to get used to first – I didn’t really miss anything set-wise though. There were a few sound issues on the night and sometimes the music drowned out parts of the singing which was a shame. However, it didn’t spoil my overall enjoyment of the show. The anniversary tour is led by MiG Ayesa as Galileo. Having seen MiG play the part almost 10 years ago in London I have really been looking forward to catching his performance one more time. He is not the vocally strongest Galileo out of all performers I’ve seen in the part but his voice suits the songs really well and he definitely makes the part his own. His Galileo is playful and likeable. I don’t even mind that he doesn’t actually fit into the role age-wise anymore. MiG is just a wonderful Galileo with so much enthusiasm for his role and the show. It’s simply a joy to watch. Lauren Samuels plays Scaramouche and once again proves why she received such rave reviews for her portrayal of the part at the Dominion Theatre. 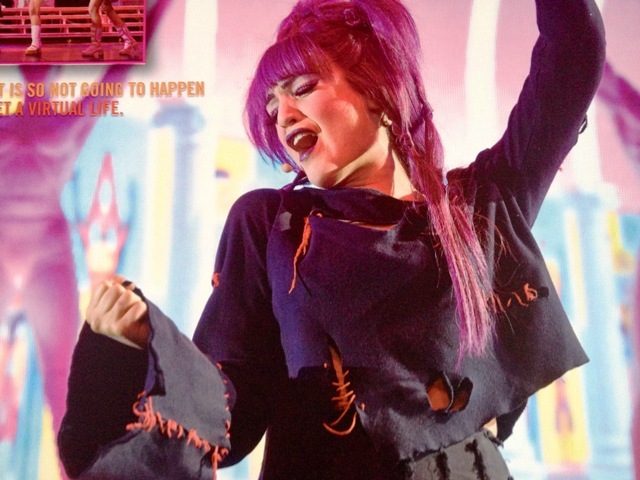 Her Scaramouche is funny without losing her vulnerable side and she has a beautiful and strong voice. I especially loved to hear her “Who wants to live forever” (with MiG) – such a tender moment in an otherwise rather loud and in your face kind of show. Sean Kingsley’s Khashoggi doesn’t stand out acting wise for me. However, I completely love his take on “Seven Seas of Rhye”. He has quite an edgy rock voice and some of the notes he hits are just insane. My personal highlight of the show has to be Jenna Lee-James’ Killerqueen. 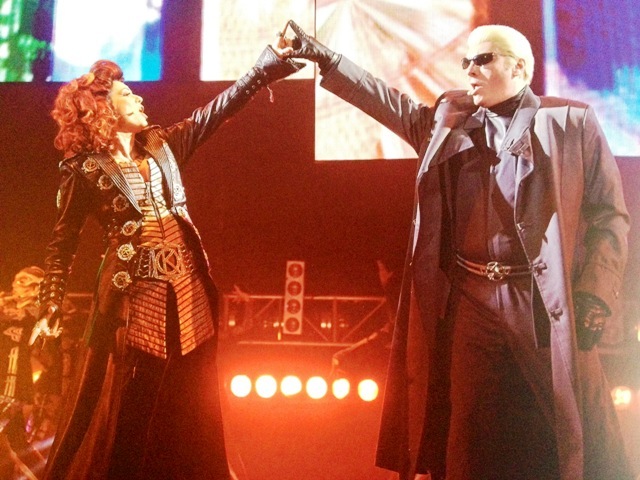 I have been lucky enough to catch Jenna as Meat Loaf and Scaramouche when she played the parts at the Dominion Theatre a few years ago. She remains my all time favourite Scaramouche and I’m thrilled I now got the chance to see her take on Killerqueen. Jenna has a stunning voice which fits the part perfectly. Her “Another one bites the dust” is nothing but amazing and it is great to see her play the villain for a change. Until now Mazz Murray has been my favourite Killerqueen by far (and everyone who has seen her will probably agree that she was absolutely perfect in the part). But I can safely say that Jenna has taken her place right next to Mazz in my all time favourites. I quite like Lucie Jones’ Meat Loaf but I admit she doesn’t blow me away. She’s a good singer but I think her voice lacks a bit of power especially during “I want it all”. Next to Lauren Samuels she doesn’t quite manage to stand out. Rolan Bell plays Britney Spears on this tour and I admit I just can’t warm to his portrayal of the part. It’s probably not even his fault as my main issues are down to the way the part is written these days. Britney used to have a bit of dignity but now the role is a walking joke. I really dislike the mocking way in which the Welsh accent is used. And the whole karate thing is just too much in my opinion. Rob Castell’s Pop is highly entertaining. I’ve never been a fan of the part itself so the fact that I actually enjoyed Rob’s performance speaks for itself. His Gollum impression is the best I have seen and I loved his “These are the days of our lives”. All in all this tour is a fun night out – it has great songs, some stunning voices and is simply a great celebration of Queen. If you like the music you will enjoy the show. If you are expecting thoughtful theatre this one is not for you. I had a brilliant time watching the show again and seeing Jenna and MiG brought back wonderful memories of my days at the Dominion Theatre. If you get the chance please go and check out this tour. 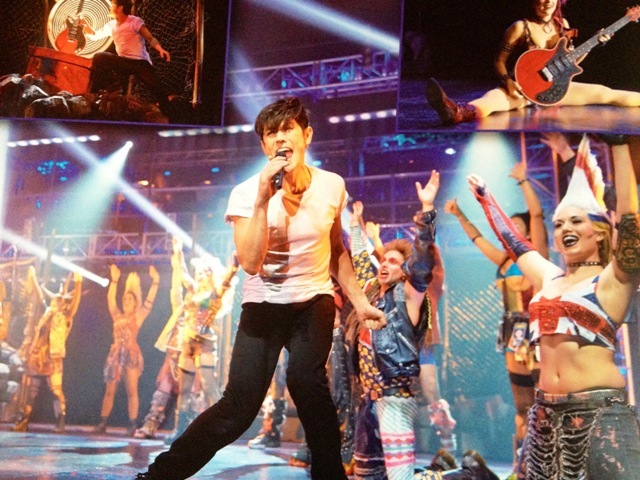 It’s a great chance to see We will rock you in the original English version. And although the script has been changed quite a lot since the show’s opening 10 years ago (and not for the better if you ask me) this show still rocks! For more info on the tour visit http://www.wewillrockyou.co.uk/tour/. You can check out my interview with Jenna Lee-James here. Thanks for the very thorough and thoughtful review! Having seen both the west end show only recently and this tour, I must admit to preferring the tour….probably due to the better performers that are in the tour, at least in my opinion. I must admit to thinking that there could be no better Galileo with his fantastic voice stage presence, and thinking that MiG must be part Peter Pan as he still looks 17 on the stage! Also, Rob is the 3rd Pop I have seen, and my favorite of the three, and same goes for Jenna Lee-James! I do love her completely evil, in a “mean girls” way, take on Killer Queen. I am also blown away by the band, they are spot on, and I was blessed with seeing an old internet acquaintance do the borap solo walk-out in Dublin. Awesome show? Totally.